Toni is currently filming new International drama COLD COURAGE directed by Agneta Fagerström-Olsson and Kadir Balci for Luminoir, Finland. The European co-production is based on Pekka Hiltunen’s series of novels and the series is co-written by Brendan Foley and David Joss Buckle. Lionsgate has acquired international rights to the series. More recently, she filmed the role of Wedna-El in Season 2 of Sci-Fi adventure series KRYPTON directed by Erica Watson for Warner Horizon/Syfy. The show will air later in 2019 on Syfy US and E4 UK. Recent screen roles include Lisa Devers in Joe Murtagh’s CALM WITH HORSES directed by Nick Rowland for Film 4 / DMC films, Karen in WILDFIRE written and directed by Cathy Brady for Cowboy Films, Lucy in ROSIE directed by Paddy Breathnach for Element Pictures and played a leading role in short film BAINNE directed by Jack Reynor for Anabasis Films. Further film credits include action/drama CARDBOARD GANGSTERS directed by Mark O’Connor for Five Knight Films and short films – TWELVE written by Tracey Martin (RedBear Productions), SMITHY & DICKIE-BOY by writer/director Hannah Quinn for Savage Productions and psychological horror HEN directed by Janna Kemperman. 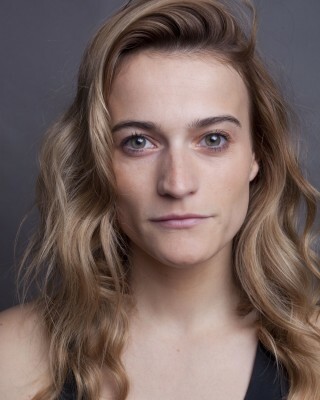 Previous film and television appearances include Lucy O’Loughlin in RTE’s acclaimed medical drama THE CLINIC directed by Ian Fitzgibbon (Parallel), Zara in renowned feature drama WHAT RICHARD DID directed by Lenny Abrahamson for Element Pictures and Angela in NOBLE written and directed by Stephen Bradley for Destiny Films. Recent stage credits include Bridget Cleary in PORCELAIN, a new play by Margaret Perry directed by Cathal Cleary for the Abbey Theatre. Other recent credits include Runt in Enda Walsh’s DISCO PIGS for Reality Check Productions (Best Ensemble Irish Times Theatre Awards 2018) and Robin in WE WERE MONSTERS presented as part of the Bram Stoker Festival 2017. Previous stage appearances include Donal Ryan’s SPINNING HEART directed by Paul Brennan at the Gaiety Theatre, BUG directed by Jed Murray for The Corps Ensemble and CLOSE TO THE SUN written by Stephen Darcy, staged at Smock Alley theatre as part of the Dublin Fringe Festival 2017.